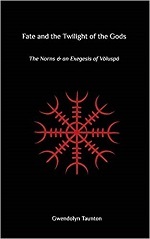 Toynton earlier edited the “Primordial Traditions Compendium”, a similar book consisting of essays, comparible to the Tyr Journal, The Journal For Contemporary Heathen Thought or the Heidnisches Jahrbuch. 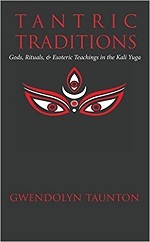 The Primordial Traditions Compendium is a Traditionalistic work with information about different traditions. When I heard of a new volume with the focus on the Northern Traditions and thought to have a look at the website, I noticed that there are plans for upcoming volumes about Alchemical Traditions, Occult Traditions and Tantric Traditions. Northern Traditions is an expensive buy. I paid 30 euros to get the 175 page booklet in my mailbox. I have cheaper books with more luxery paper (and better covers! ), but of course it is the content that matters, right? Toynton opens with her pessimistic ideas based on the Traditionalistic hypothesis of cycles and wonders how one can build a faith for the modern age, built on an old one. This is actually the idea behind the entire publication which is divided in a historical and a contemporary part. 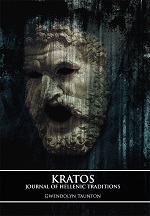 The opening article (after a Tyr song) is also by Toynton and in it she speaks about The twilight of the Gods. In her lengthy article Toynton digs deeply into the information we have about Ragnarok and similar events in other mythologies. She manages to see current events, thus glimpsing at the neigh end of a cycle, and in doing so there are some nice thoughts and some too short corners, something that we will see more often in this publication. Matt Hajduk, whom we know from the previous publication, has some things to say about Forseti. His article brings memories of my own short text about honour and feud. Juleigh Howard-Hubson’s writes about sleeping kings who are supposed to reawaken when they are most needed. She compares Celtic versions with that of (Indo-)European folklore. Next up is a short text about honour, followed by a lengthy botanical essay that I lost track in. Hajduk also contributed an article about Tyr and he argues that when people see Tyr as just a myth without any contemporary practical meaning, modern heathenry will never be more than theoretical exercise. Then we have another essay which reminds a lot of something. Alexander Shephard investigates the theme of the Grail, mostly based on Evola’s The Mystery Of The Grail and a few titles of Guénon. Eliade is shortly mentioned. I do not know Evola’s book, but Shephard’s article cuts corners, jumps conclusions and is in many regards unconvincing. If only could he have read Dutch and found the book De Graal by Koenraad Logghe who also uses a Traditionalistic approach for the subject. Shephard and Logghe walk similar paths, but Shephard comes to his theories of solar deities and the cosmic cycles a bit too easily. He bases himself on (the famous) British Arthur legends, while the older are more interesting (and would have fitted his goal better too I think), names are misspelt which might have given him some ideas when they were not and even his history of the Grail legends misses the most important texts. A short text of Vijay Prozak supposedly gives The philosophical essence of the Northern Traditions but besides summing up some ways of looking at things (monism, dualism, etc.) and stating that a mix between them all would be “idealism”, Prozac does not get. There are a few nice thoughts and quotes though. S.R. Hardy made a new and very readable translation of the Thrymskvida. Stephen M. Borthwick also contributed his Hermann Awakened, folkishness v. racism to The Journal Of Contemporary Heathen Thought, the title says enough. Hardy again comes with a contemporary old work, he created a runesong of 3×3 verses for each rune. A very Traditionalistic article is Myth of the golden age by Wulf Ingessunu which is a bit of a mishmash of Northern and other mythologies to argue that Ragnarok is the end of the golden age. Ingessunu manages to place the Fimbul winter immediately after the war between the Aesir and the Vanir; places “Baldaeg” in “Odainsacre” after he gets shot by his brother, supposedly from an Anglo-Saxon version of the Balder myth. Atlantis is derived from “At-al-Ase” and “The hooded man” from some old television series is the “avatar” for the new era. Not the most convincing article… Christopher A. Smith, a modern magician, contribituted a few pages about contemporary Northern magic, making clear that we no longer live in the Middle Ages. The closing article is for Troy Southgate who gives “a Wodenist perspective” on The symbolic & practical significence of the centre. He of course quotes Eliade who extensively investigated the symbolism of the centre of the world, world trees, etc. but Southgate goes on with giving a ritual to make your own centre. I am not really fond of such outwritten rituals and fail to see Southgate’s purpose of the ritual. Indeed, I am quite critical about the essays in this publication, but that does not mean that I do not applaud yet another serious (“semi-academic”) modern heathen publication. Without different opinions and approaches nothing new will ever surface and the publication surely raises some things worthy to think over and to discuss. Therefor I advice to try to keep up with this kind of publications if you are interested in contemporary heathenry.